Hi Guys! It's Sumo again! The highlight of my trip was being in the snow for the FIRST time. 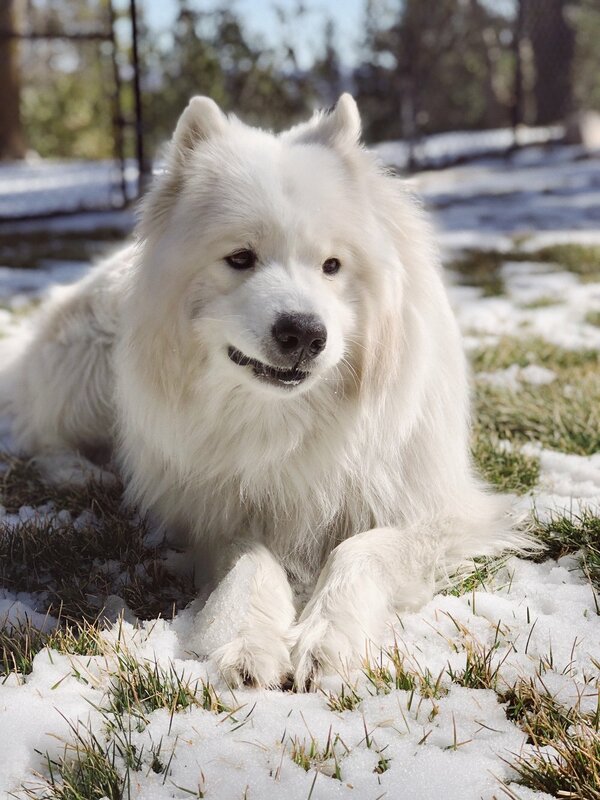 Samoyeds like me are built for the snow, and can withstand temperature below 0 fahrenheit. I am a true ice shoob (aka Shibe, cloud boi, doge, or shibe). Since it was my first time seeing powder, I didn't know what to do with it. Obviously I rolled around in it, then I peed in it, and then I ate all versions of it: melted snow, frozen snow, powder snow, I accepted all forms! It's moments like this that I think I will keep my adopted family. 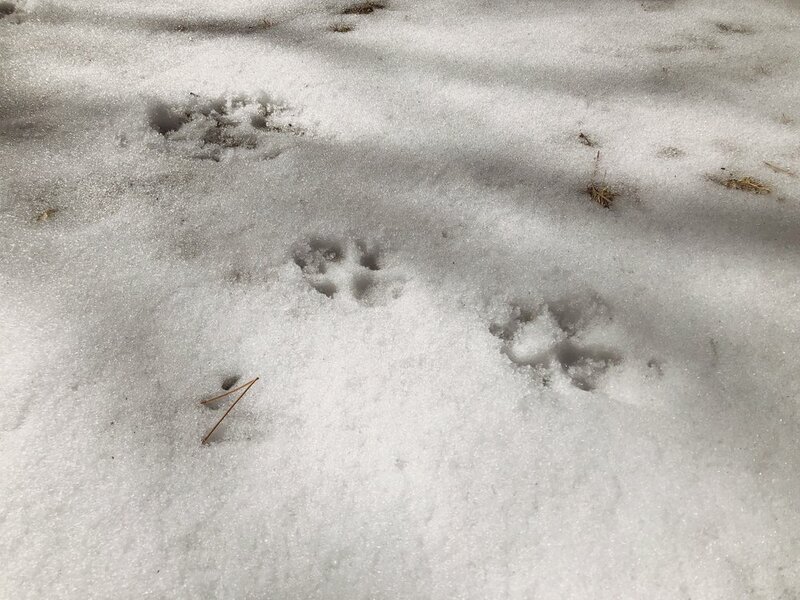 I call this, "pawprints on snow, the medium"